Succession Planning Strategies | Rocco & Associates Wealth Management, Inc.
Our thoroughly crafted succession planning solutions are designed to give fellow advisors the confidence to transition their businesses. Our succession planning includes detailed valuation methods, a custom timeline of events, and flexible payment options to help ensure that you, your staff, and most importantly, your family, are provided for. 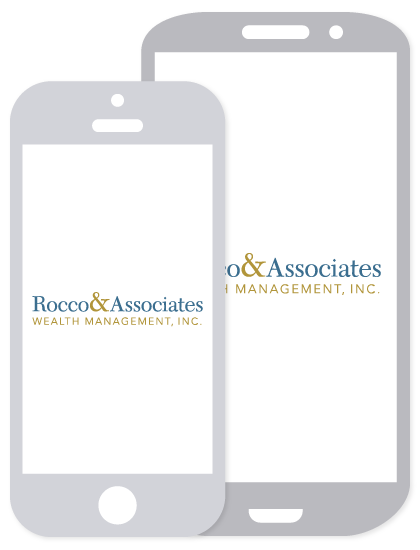 Rocco & Associates Wealth Management, Inc. was founded to assist individuals and families across all aspects of their financial lives. We provide life planning to help our clients pursue financial stability and independence. In doing so, we’ve earned a reputation for excellence in our industry by providing high-touch, personalized service and unbiased advice and guidance. Our philosophy is based on the principle that understanding your current financial situation is vital to making prudent decisions that will impact your financial future. Therefore, we take the time to educate you and reduce the complexity from the financial decision-making process, replacing it with clarity and confidence. We believe that providing clear information in a transparent manner from an independent perspective leads to better decisions and potentially better outcomes for our clients. At Rocco & Associates, we work together as a team to assess, design and implement your financial plan, while continuing to monitor and make the necessary investment decisions to help ensure that your goals stay on track. We do this by utilizing our entire team. Unlike traditional wealth managers, who often work independently of one another under the same roof, the team at Rocco & Associates works together to provide each and every client a holistic financial strategy. In essence you are treated like family, being given the same level of respect, commitment and attention that we share with our own. Every great succession only happens after careful consideration, and we have developed a unique three step process to make sure the advisor and every client is accounted for and that both our value systems are a fit. The first step in the process is to analyze our business models and determine that there is a distinct fit at the highest level. The next step is to evaluate your client mix and determine if your ideal client is similar to ours, we want to make sure that we have the capacity and process to manage all accounts to both our standards. Lastly we begin to integrate our two organizations and begin to assimilate our client bases. The process takes at least 12 months, but can be extended for as long as you would like. All of our succession planning partners can stay on in whatever capacity they would like so they can continue to do what they love and cultivate the relationship they have formed over an illustrious career. If you are interested by our firm and our process please do not hesitate to contact Charlie Rocco at 203.255.6022 or [email protected] for more information or to set-up a succession planning consultation.